Most of us cannot wait until July 1st gets here so we can buy our first suppressor! With this new accessibility to suppressors, there are new procedures and guidelines we must abide by as well. We may not be familiar with them yet, but hopefully this blog will get you well-versed in everything you’ll need to do in order to purchase your first suppressor. 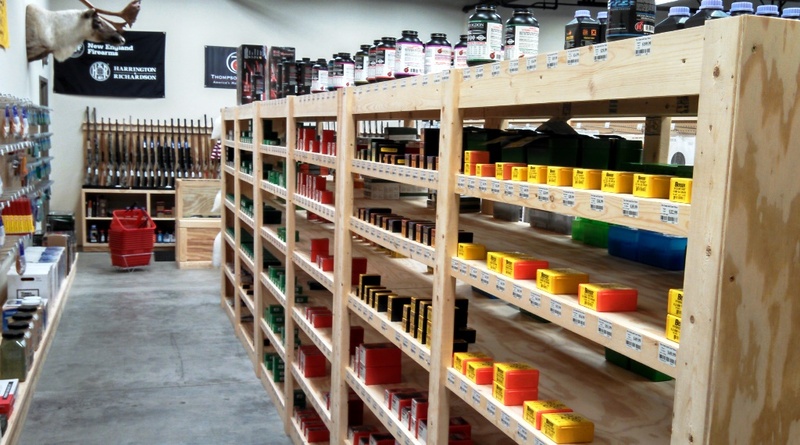 Form 4 – You’ll need to complete some extra paperwork before you get to your local Class III gun dealer. The most talked-about form you’ll need to complete is your NFA (National Firearms Act) Tax Stamp. This form can be found on the Bureau of Alcohol, Tobacco, Firearms and Explosives’ (BATFE or ATF) website. Its technical designation is Form 5320.4 or Form 4. No matter what you call it, it’s our mandatory paperwork, which must be submitted for a suppressor, along with a check for $200.00 made out to Uncle Sam. It’s important to note that you must submit Form 4 for every NFA-applicable item you own. It’s a one time form for each item. When you complete this form, you’ll need the serial number of the specific suppressor you intend to buy from a dealer on the form. When you start your purchase process, the dealer will pull that suppressor out of their inventory for you and add that information to your Form 4. Next, you’ll need to have your local Chief Law Enforcement Officer (Chief of Police, local Sheriff, or deputy legally able to sign off on a Chief of Police’s behalf) sign off on your Form 4 also. You’ll need to complete 2 of these forms. You’ll send in both to the ATF. The ATF keeps one, and once you’re approved the 2nd is sent to your dealer, who then notifies you of your approval. Form 5330.20 – The 2nd form is basically a U.S. citizenship verification form, or the ATF’s Form 5330.20. If you’re filing as an individual for this form (not an established Trust or Corporation) you’ll state your name twice (for Question #1 and #2). This form you’ll also need 2 copies of, for the same reasons stated above. Fingerprint Cards – Next, you’ll need to submit official fingerprint cards. These fingerprint cards can be printed from the ATF’s website as well. Once again, you’ll need 2 copies of this form. While getting your Chief of Police or other qualified individual signing off on your Form 4, you can get your fingerprint cards made at the same time. So let’s review! You need 2 copies of: Form 4, Form 5330.20, and Fingerprint Cards. Once all submitted and approved, you can take your suppressor home! When you purchase a suppressor while filing under a Trust, you can alleviate some of the headache and paperwork involved for an Individual. For one, when you purchase a suppressor as a Trust, you do not have to submit fingerprints, nor do you need a Chief of Police signature. Also, the Trust can be used to file future NFA purchases (suppressors, Short-Barreled Rifles, etc). Another benefit to a Trust is that you can list multiple trustees who can be in possession of your suppressor (husband/wife, son/daughter, other family, etc.). Trust – Establishing a Trust in order to purchase NFA items can be done in a couple ways. You can either consult a gun trust lawyer, who will walk you through all the necessary steps of starting your own Trust, or you can choose an e-File or electronic setup. I equate this step to being similar to when we file our taxes. You can either go to a trusted accountant who is an industry professional and you know will get the job done right, or you can attempt to file everything yourself with a step-by-step guide if you deem yourself savvy enough to do so. In either case, you wouldn’t trust your friend to make up paperwork for you to file your taxes or treat your buddy as an authority on tax laws. Similarly, do not treat my information as legal advice–or any friend’s advice for that matter. When you decide you want to go the Trust route for your suppressor, please consult a gun trust lawyer, or a certified electronic gun trust form. Form 4 – Even when you have a Trust established for yourself, you’ll need to submit a Form 4. Instead of getting a Chief of Police signature though, all you need is the serial number of the suppressor you wish to buy from your dealer, and still you’ll send in your $200.00 check to Uncle Sam. Once again, you need 2 copies of this form: 1 for the ATF and 1 to eventually be sent to your dealer once you’re approved. So let’s review! You need 2 copies of Form 4. Only 1 copy of your Trust. Once all submitted and approved, you can take your suppressor home! Purchasing a suppressor as a Corporation is very similar to purchasing as a Trust. There are no fingerprints needed or Chief of Police signature. Also, you can have officers (similar to trustees) who are allowed to be in possession of your suppressor(s). Corporation – If you already have an LLC or Corporation established, you can amend its standing in a manner where you can use your LLC or Corporation to purchase NFA items (Ex. suppressor). If you desire to go this route I would HIGHLY suggest you seek assistance from an attorney or lawyer familiar with the process. When you establish a Trust, in a loose sense it’s a “get it and forget it” type of production; it’s not high maintenance and doesn’t need to be coddled. When you amend or establish the standing of an LLC or Corporation though, it’s more intensive. You must always ensure the Corporation is in good-standing; otherwise, it not only jeopardizes the ownership of your suppressors or NFA items, but it jeopardizes the Corporation! Form 4 – Even when you have a Corporation or LLC, you’ll need to submit a Form 4. Instead of getting a Chief of Police signature, all you need is the serial number of the suppressor you’re buying, and you once again cut Uncle Sam a $200.00 check. You need 2 copies of Form 4: 1 for the ATF and 1 for your dealer when approved. So let’s review! You need 2 copies of Form 4. Only 1 copy of your corporation’s Articles on Incorporation. Once all submitted and approved, you can take your suppressor home! So you have 3 main options or avenues in which to purchase a suppressor. Each have their own pros and cons like anything in life. For every option you need to submit a Form 4 and then depending on whether you are an Individual, Trust, or Corporation will decide what else is needed. Suppressors can be a tremendous amount of fun, but they carry responsibility as well. Research what you think you’re going to like, ask industry experts like myself if you have any questions, and then go ahead and purchase your suppressor of choice! Will Guns & Gear be selling suppressors or will we be able to order them through your store? I am assuming that since we need a seriel number for the form we would purchase the suppressor and you would hold it until we got our paperwork back from the ATF? We are looking to carry suppressors in the future for our customers Dan! And you are correct in your thinking! When you submit your “Form 4” you would actually buy a specific suppressor; it’d be pulled from inventory while your paperwork is reviewed and approved; and once you are approved you stop by the store to pick up that specific serial numbered suppressor.